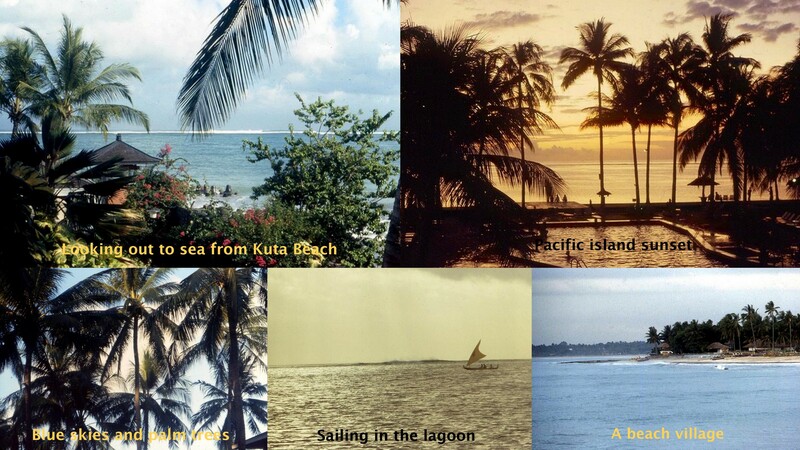 I spent most of the summer of 1987 teaching in the People’s Republic of China, but before beginning our teaching duties our group was able to spend four days on the island of Bali. We stayed at Kuta Beach Resort, which seemed like the perfect island paradise to this farm boy from Indiana. 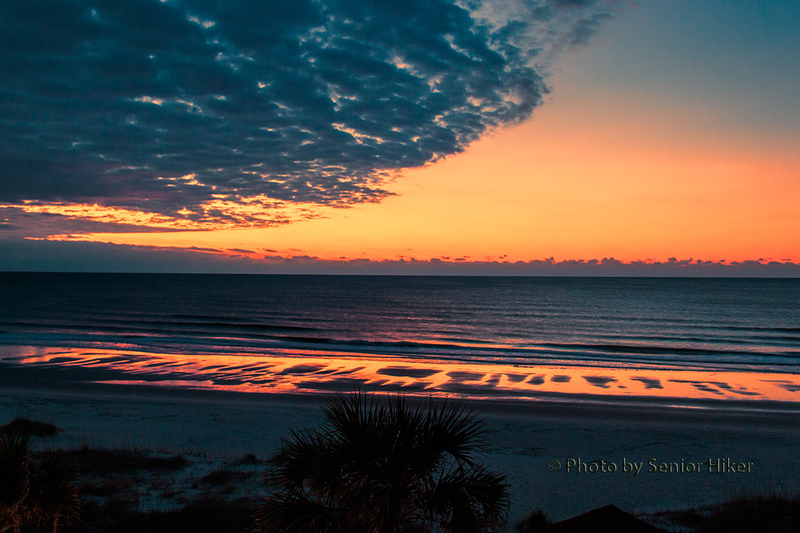 All of these photos were taken at the resort. The images are scans from slides taken in 1987. 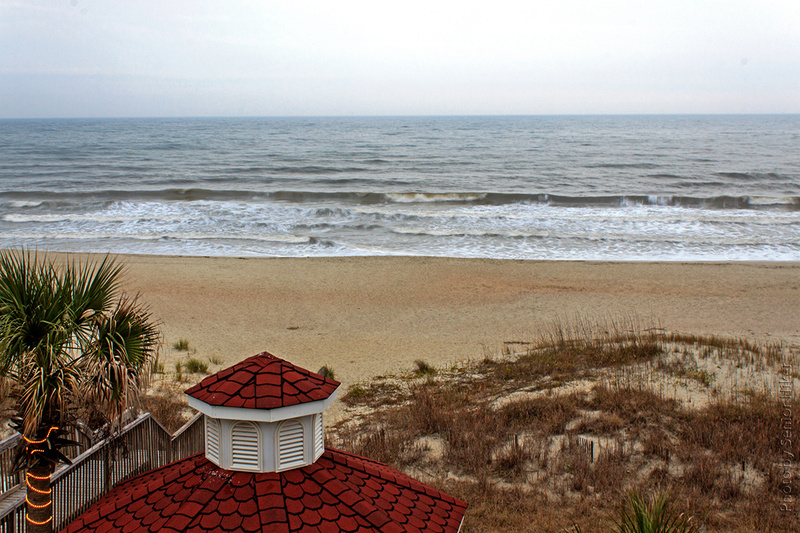 Calabash, North Carolina, waterfront. May 7, 2012. 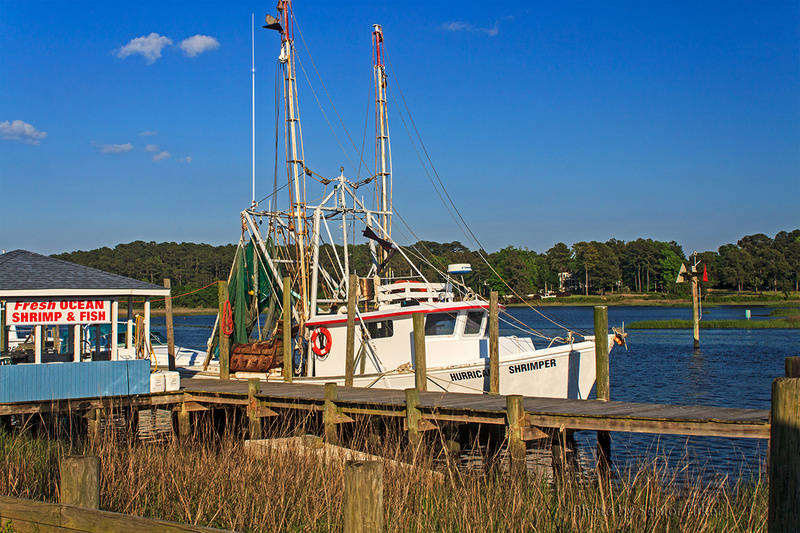 Calabash, North Carolina, is known as ‘The Seafood Capital of the World’. 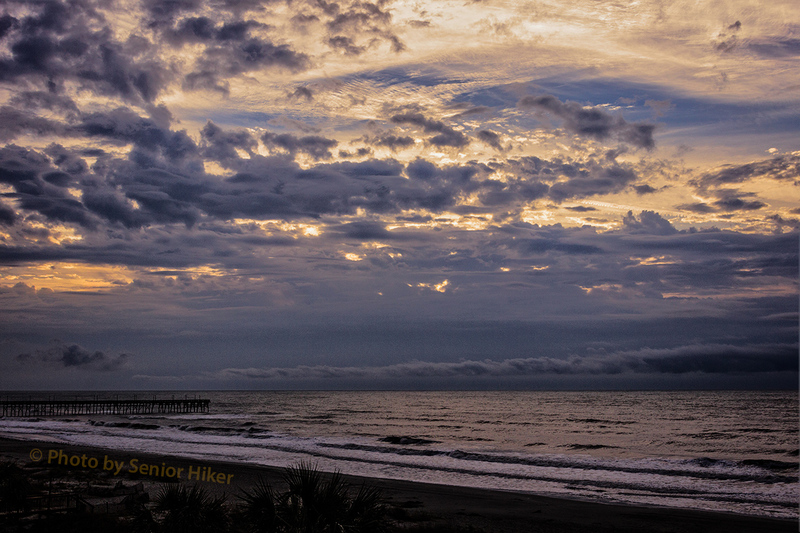 It is primarily a fishing village with shrimp boats docking daily during the season, selling fresh-caught shrimp. 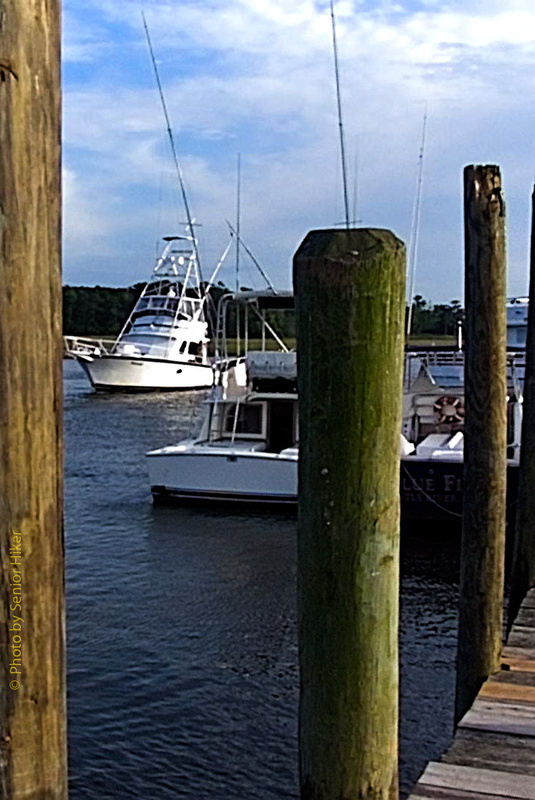 Sport fishing boat pulling into the dock at Calabash, North Carolina. May 7, 2012. 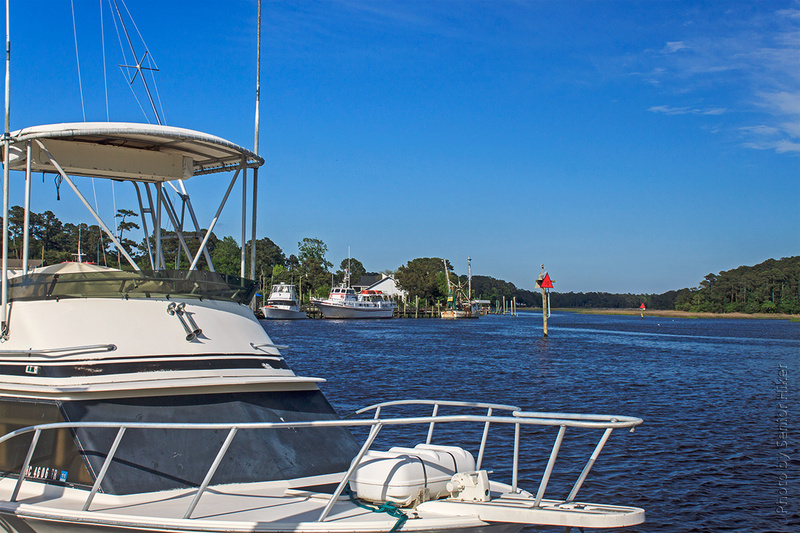 Sports fishermen often dock at Calabash, and there are also charter boats available. 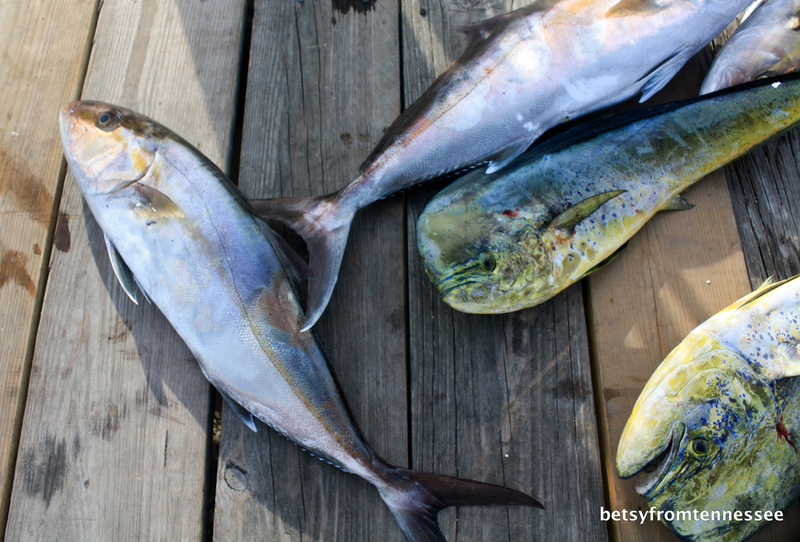 Fish ready for cleaning on the Calabash dock, Calabash, North Carolina. May 7, 2012. In the evening it is often possible to find one or more group of fishermen cleaning their catch on the dock. 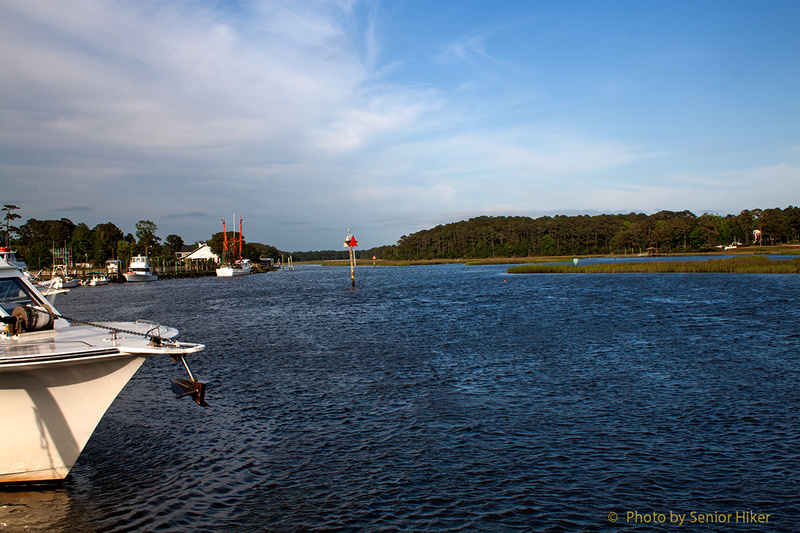 Dockside restaurant, Calabash, North Carolina. May 7, 2012. 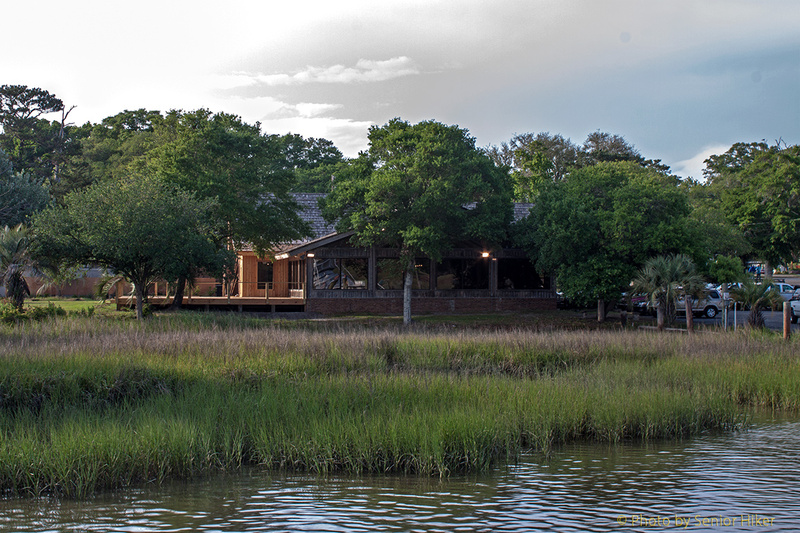 One of the major attractions of Calabash as far as Betsy and I are concerned is the Dockside Restaurant. The restaurant is right on the waterfront and, if you are lucky enough to get a window seat, you can watch all the activity on the dock while eating a delicious meal. This picture of the restaurant was taken from the dock, which shows how appropriate the restaurant name truly is. 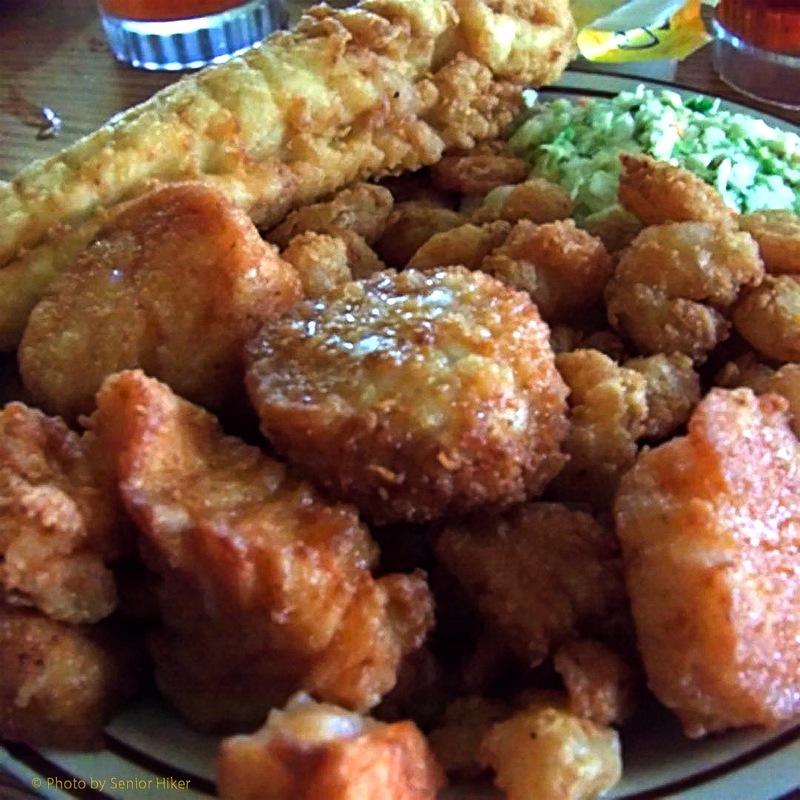 Seafood platter at the Dockside restaurant, Calabash, North Carolina. May 7, 2012. 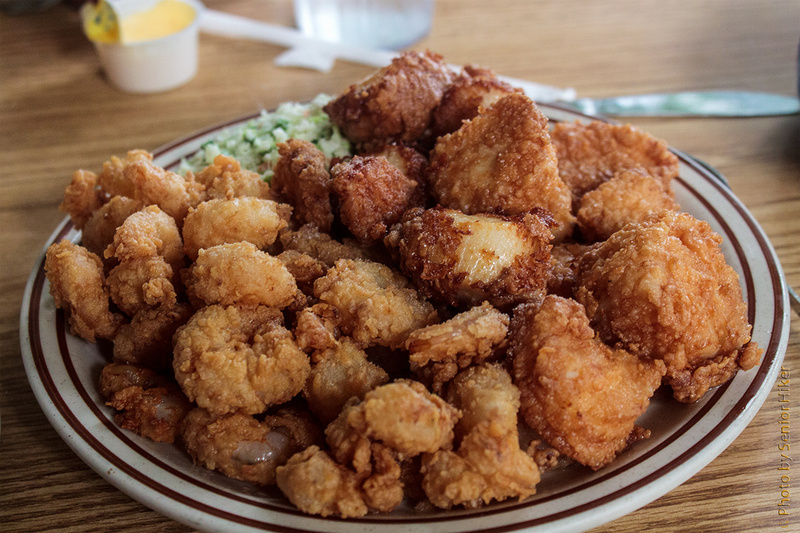 Calabash is famous for its ‘Calabash Seafood’, which is prepared with a special flavoring unique to the area. I know we’re supposed to avoid fried foods, but once or twice couldn’t hurt us, could it? It sure is good! Betsy at the Dockside restaurant, Calabash, North Carolina. May 7, 2012. 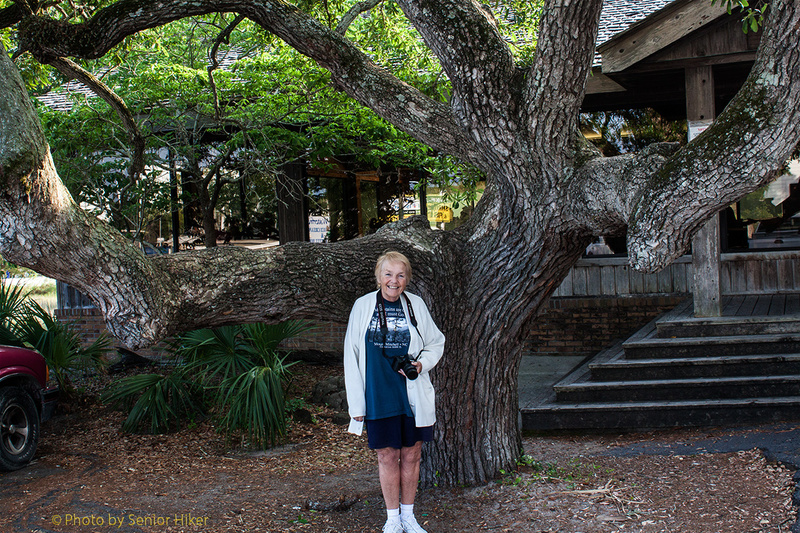 Betsy, a tree-hugger at heart, is also a fan of the huge live oak trees at the front of the restaurant. 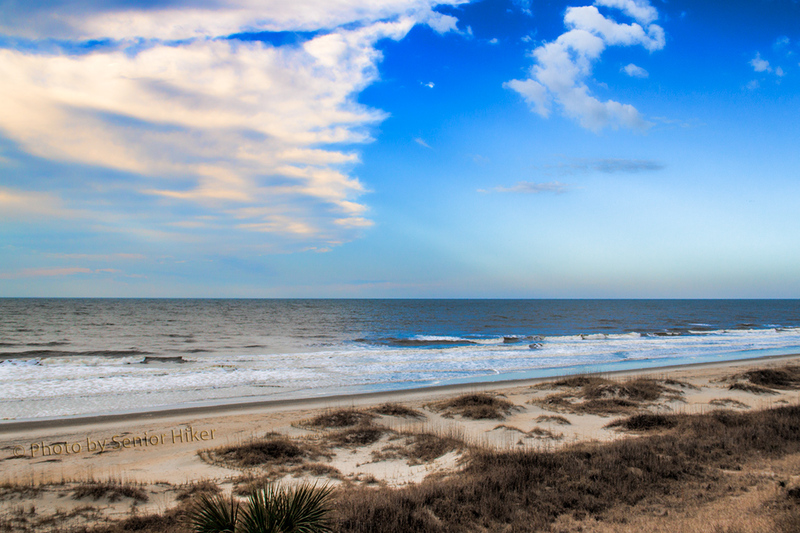 The beach and sky at Ocean Isle Beach, North Carolina. May 10, 2012. 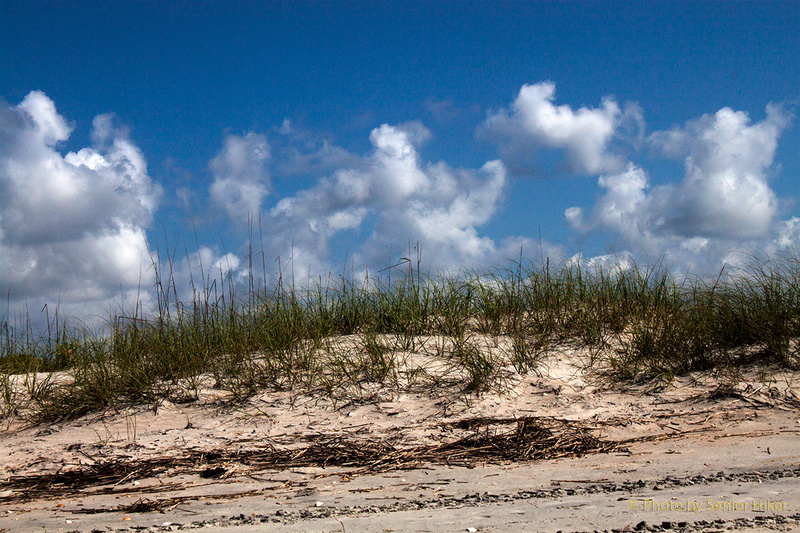 When we are at the beach Betsy and I enjoy the sand and the water — and the sky. 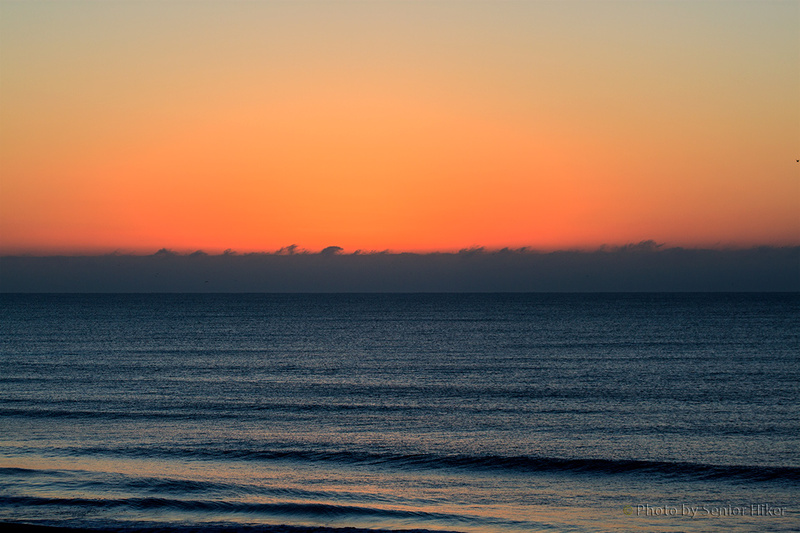 Sometimes the blue of the ocean comes close to matching the blue of the sky. 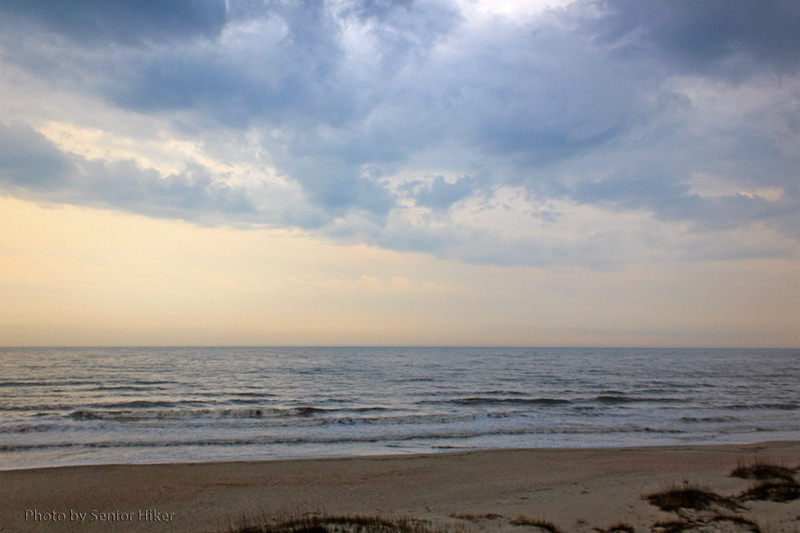 The white of the breakers in the ocean and the clouds in the sky only serve to emphasize the blue. 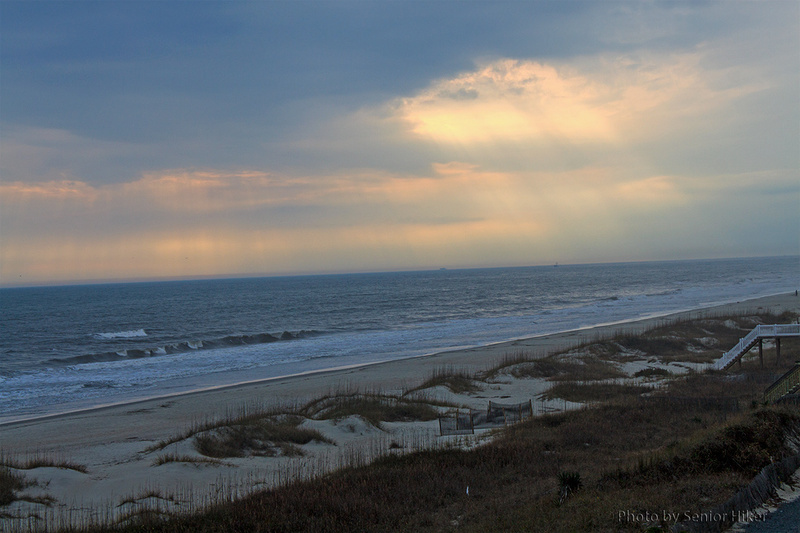 Reflections in the sand at Ocean Isle Beach, North Carolina. May 10, 2012. 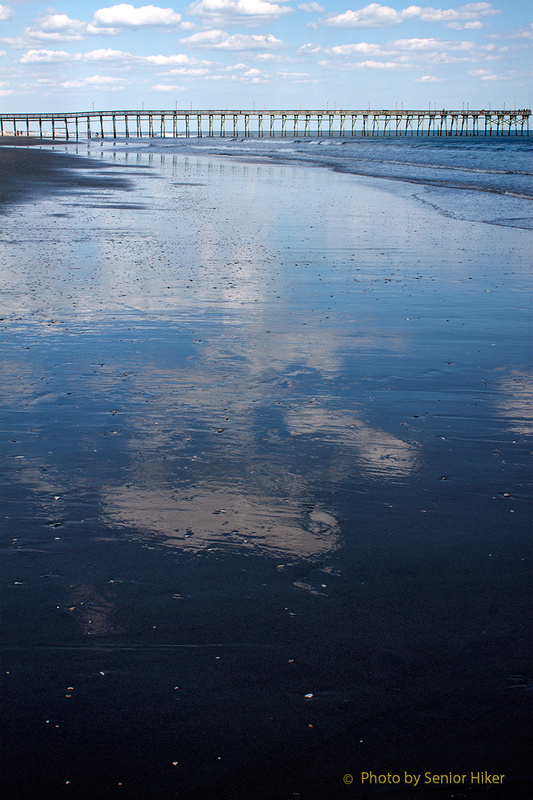 On this particular day the sky and the clouds were reflected in the wet sand left by the falling tide. 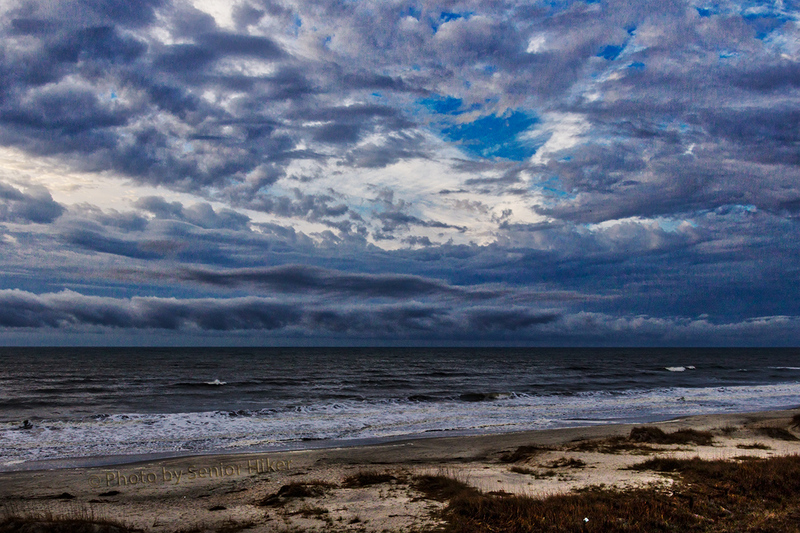 Clouds over the dunes at Ocean Isle Beach, North Carolina. May 8, 2012. 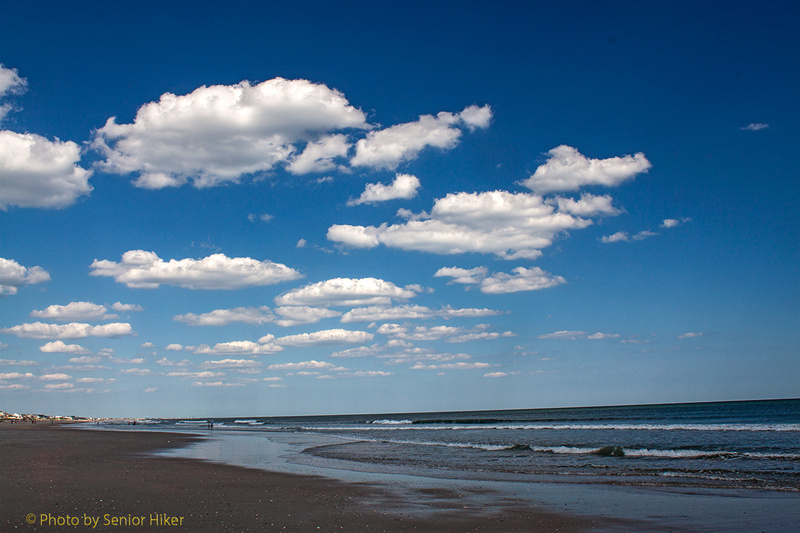 We also enjoyed watching the clouds appear over the dunes on a lazy afternoon. I’m sorry for being behind in visiting your blogs, but Betsy and I went to visit Dad yesterday. He was better than we’ve seen him in several weeks. He still has trouble completing his thoughts at times, but he was walking better yesterday than he has in quite some time. He enjoys being outside, so the nice weather is a blessing. Dad will be 100 in August. 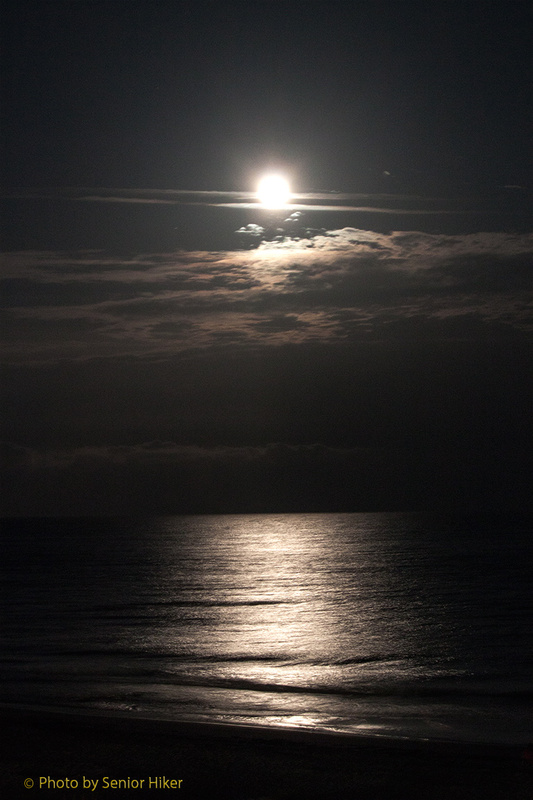 Moon off Ocean Isle Beach, North Carolina. May 6, 2012. Betsy and I were in Simpsonville, South Carolina, on the Saturday night of the super moon. 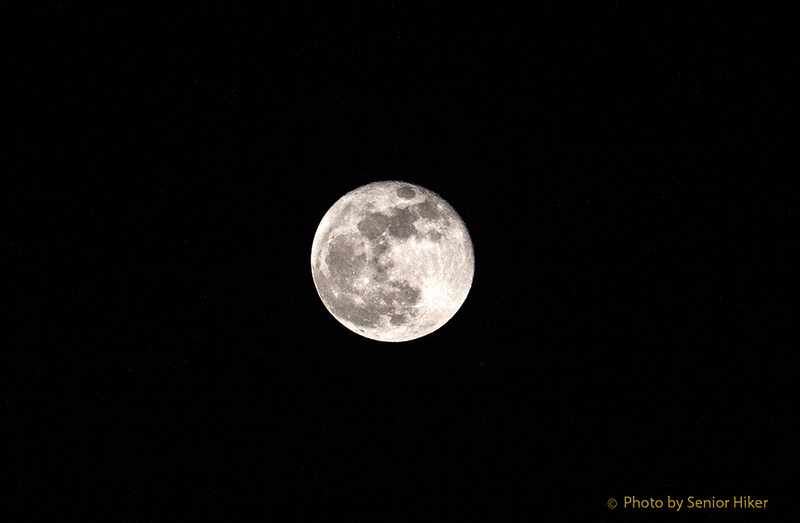 Unfortunately there were heavy clouds and storms in Simpsonville that night, so we missed the super moon. 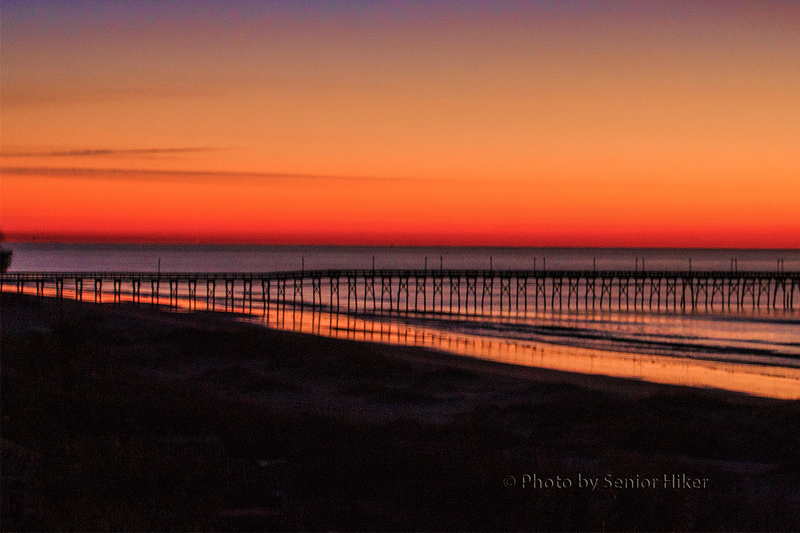 Fortunately Sunday night, at Ocean Isle Beach, North Carolina, was beautiful and clear. 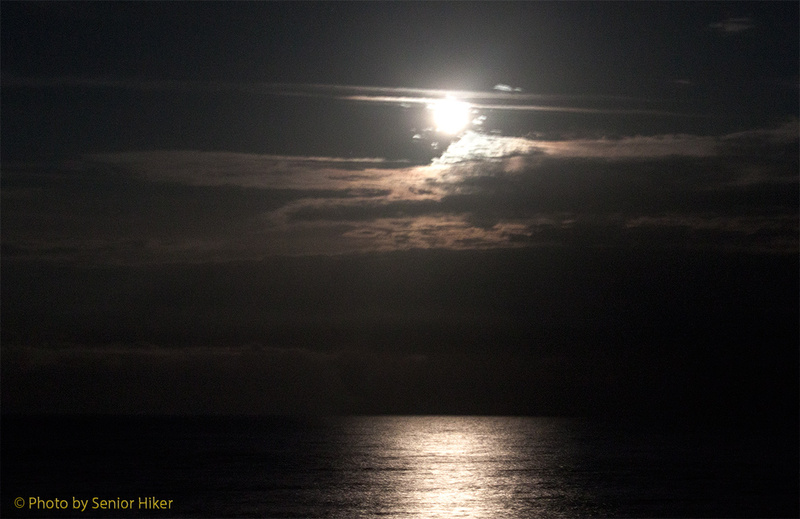 The not-quite-so-super moon put in an appearance over the ocean almost opposite our room. 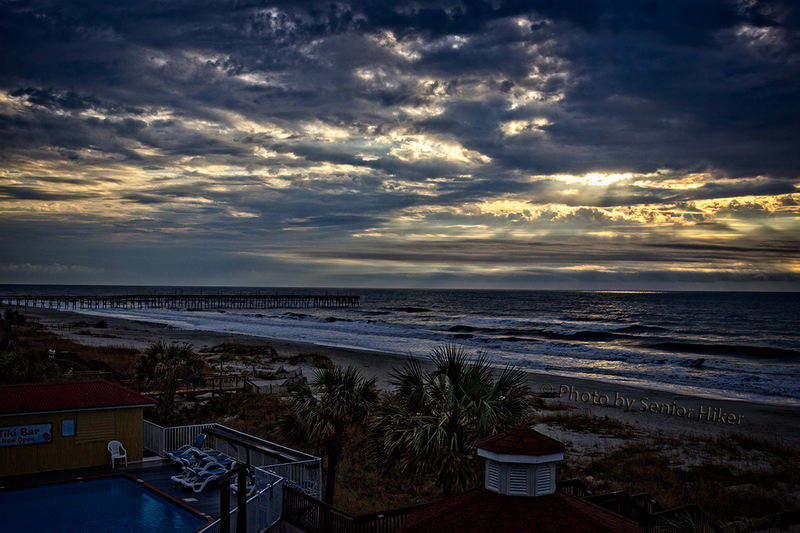 I was able to get this picture from the balcony of our room. 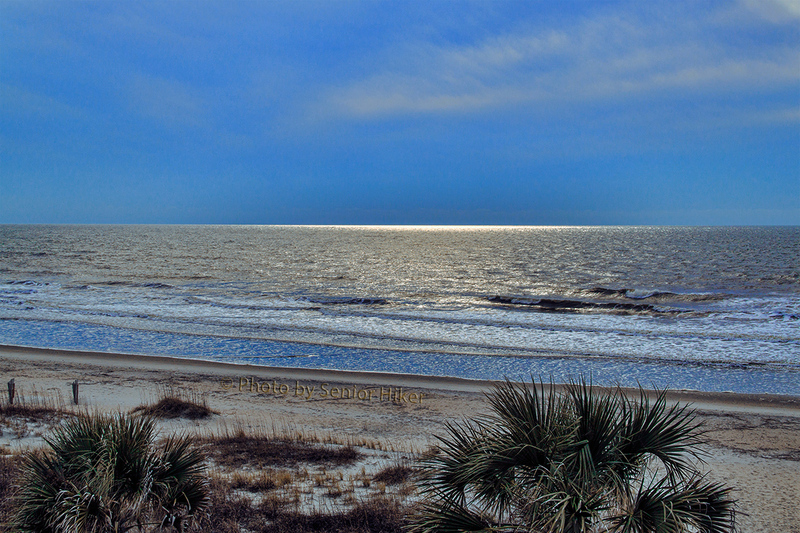 Moonlight on the ocean off Ocean Isle Beach, North Carolina. May 6, 2012. 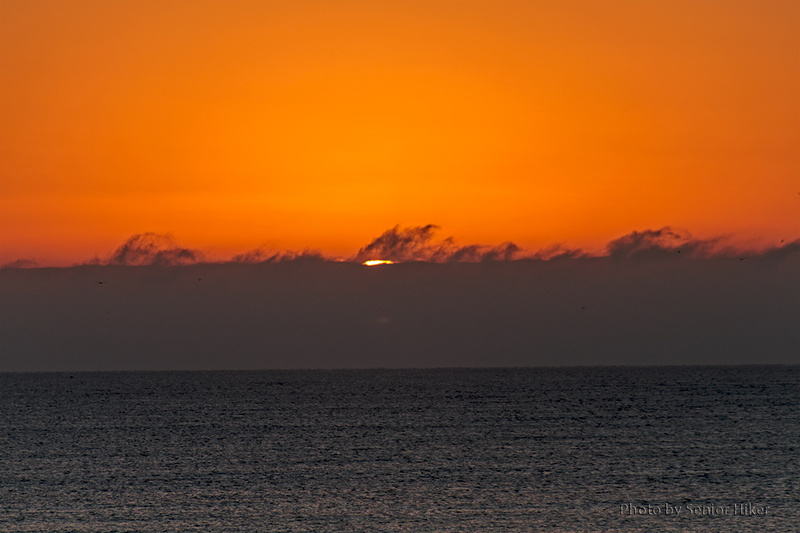 We watched the moon rise in the sky and lay a silver stream of light on the surface of the water. 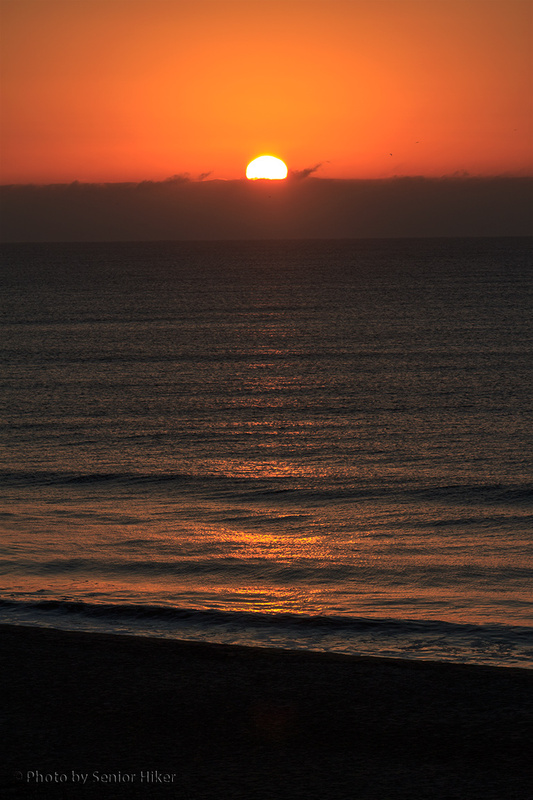 Moon rise at Ocean Isle Beach, North Carolina. May 6, 2012. 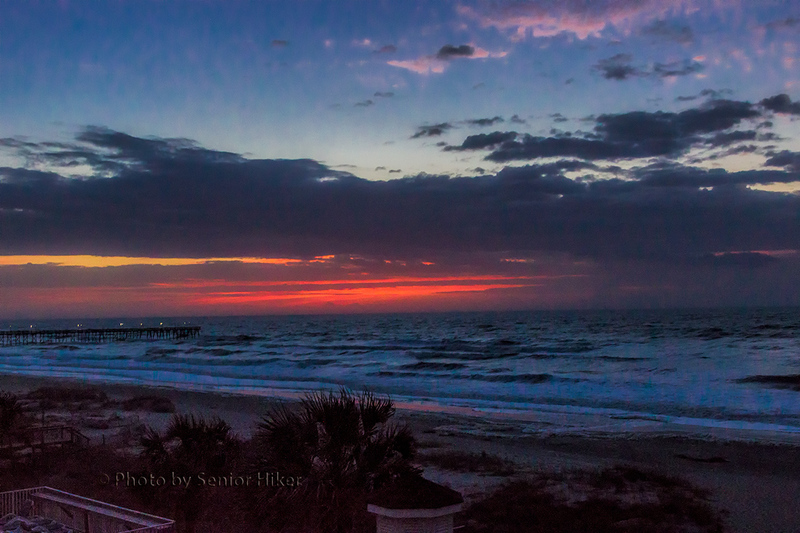 The sight was so incredibly beautiful that we both felt it made up for missing the super moon the night before.